Firstly, all levels of fishermen express concern over their gear whether it is durable enough to “fight” a huge fish. Since you pay for a high performance reel, you definitely expect that it will combine the latest features with power and quality. Unfortunately, many of us have the perception: “You get what you pay for”. However, we would like to disagree and prove that there are some brands, like KastKing, that pair all benefits with strength and toughness. The best example to prove that is the KastKing Kodiak reel of course. We tested the reel and now we are ready to present it to you. If you are interested in buying this reel, you should take a look at the article. To begin with, the issue as to whether a reel is good is quite a controversial one in the contemporary fishing world. Before we refer to the numerous benefits of the Kodiak, we would like to talk about a misunderstanding. 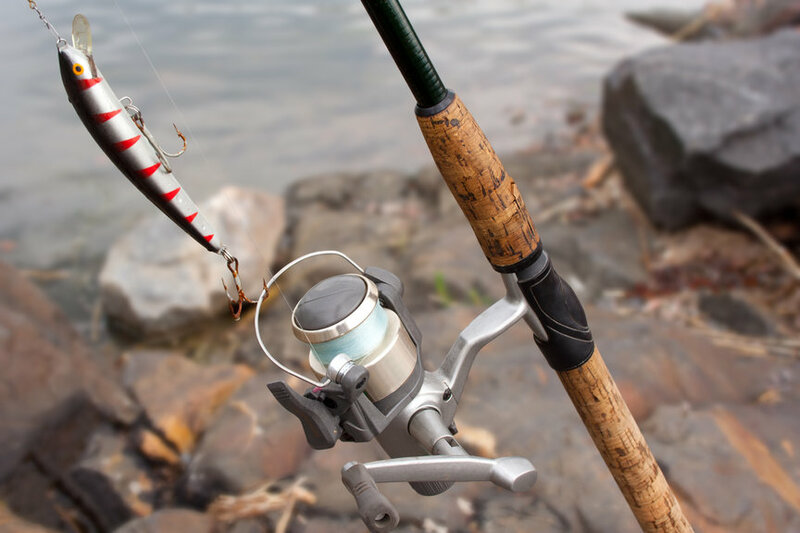 As we all know, there is a price difference between well-known brands like Shimano or Okuma and less known brands like KastKing. KastKing was created by some students who were fishing in the Finger Lakes of New York. A passion for fishing and good knowledge about the internet and e-commerce was enough. And that’s how KastKing was born! This is a nice success story that should definitely not been overlooked. The parent company of KastKIng is Eposeidon and they produce top fishing gear at really affordable prices. Before we buy any reel we should analyze it. The factors you should look for in a reel are bearings, drag system, rotor, mechanism and quality. If we take a closer look at the KastKing Kodiak, we will realize that it is equipped with really good features. The TV tends to glorify some brands and that’s why almost all anglers choose the hype brands. First of all, the name “Kodiak” derives from the Kodiak bears which feed on salmon. The KastKing Kodiak features five models with the Kodiak 1000 starting the line up to the model 5000. 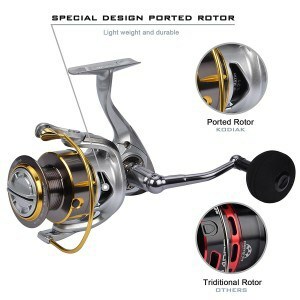 The gear ratio is 5.2:1 which is considered to be a good ratio for a spinning reel. The models 1000, 2000 and 3000 are equipped with max drag 33lbs., whereas the 4000 and 5000 claim 39.5 lbs maximum drag. This pound test is really incredible if you take into consideration that the reels are lightweight. It works well for Marlin amberjacks, little tunnies or barracudas as it is enough strong to withstand the pressure applied on the reel. There are three carbon fiber washers which are able to reduce the pressure and heat. Just to make things clear, the maximum drag is the durability of the reel when the brakes are closed. The majority of reels with high max drag are considered to be heavy. However, KastKing uses lightweight and quality parts in order to construct thier spinning reels. Light reel means better cast and that is what most spin anglers want. As stated above, all five models are considered to be really lightweight. The rotor is made of high quality aluminum and uses a special technology developedby KastKing. The SALTWATER TOUGH technology does not allow water to come in the reel. The result? 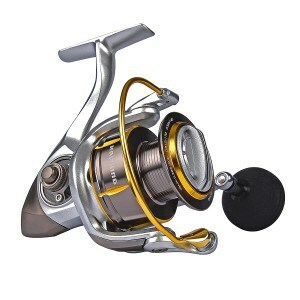 A great KastKing Kodiak both saltwater and freshwater reel. All reels should have a sealed system because saltwater, sand and mud could easily destroy them by corroding the inner parts. As far as the handle is concerned, there is an aluminum handle with an EVA foam knob. If you are fishing for those bloodthirsty predators, you definitely know that stainless steel is the only material that will “survive” the fight. Undoubtedly, KastKing knows that. Consequently, they equipped the Kodiak with 10+1 stainless steel ball bearings and drive gear. The main shaft is 15% thicker than normal shafts in order to support the ball bearings. The sealed sytem will protect the reel from saltwater corrosion, but keep in mind that stainless steel is saltwater safe. Another feature that you should take into consideration is the smoothness. The CNC computer balanced aluminum spool combined with the best ball bearings will give you the smoothest fishing experience ever. You may ignore this characteristic but KastKing found a way to protect your line. The Kodiak has a thick bail wire which will bring your fishing performance to the next level. Overall, while we recognize that certain well-known brands create great reels like the Penn slammer 3 or Abugarcia Rocket, we should take a great exception. 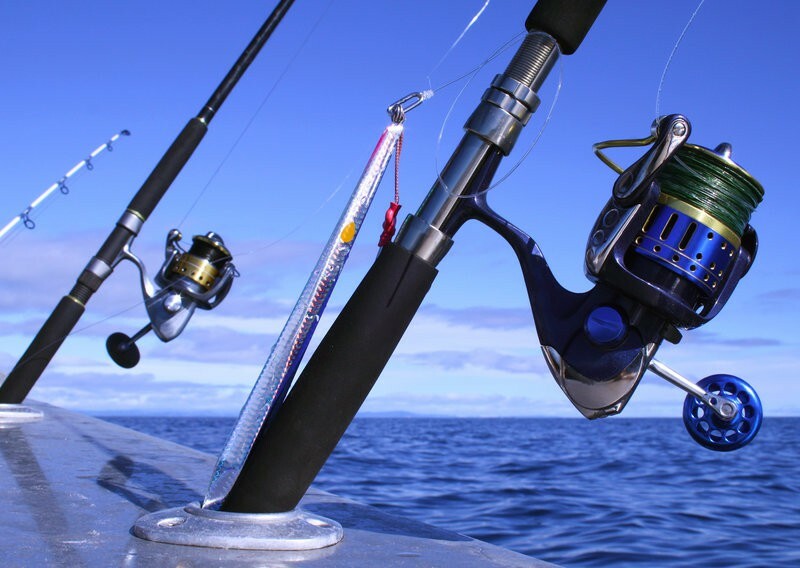 KastKing is a top fishing equipment brand and it is really popular amongst the fishing community. It goes without saying that all reels have some special features but we think that the KastKing Kodiak combines everything. Stainless Steel ball bearings and main shaft is a big plus especially for saltwater anglers. There is nothing worse to realize that saltwater ruined your beloved reel. If you want a reel that can deal with huge groupers or even crappie, the Kodiak is just tge right choice for you. Affordable and great in one reel. Moreover, we would like to underline the fact that the carbon washers play an important role here. Big fish means high pressure. Lastly, it would be important to mention that the line capacity of the models 4000 and 5000 is really big. Finally, we must also take into account the negative aspects. In fact, the amount of ball bearings does not play an important role. It does not affect the performance of the reel. The KastKing Kodiak has 11 bearings but the only positive is that they are well designed. 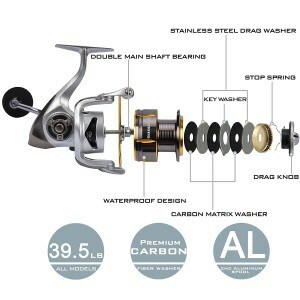 Furthermore, the SALTWATER TOUGH system is really helpful, but we think that a reel should have stainless steel parts. On the other side, stainless steel is heavy. To sum up, KastKing knows how to create reels and many people trust them. Summarizing, thank you for reading our review. If you want to add something, please do not hesitate to leave a comment or share the article.